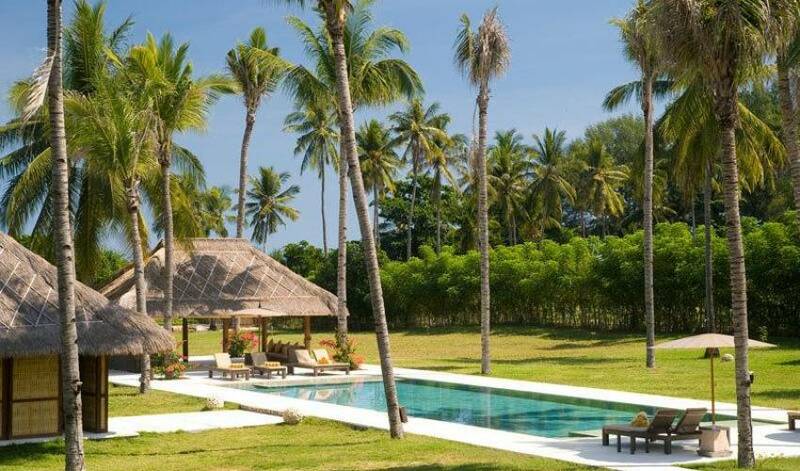 An efficient and discreet staff team, including a chef, villa manager, driver, housekeeping and security, will ensure you have a wonderful holiday at this villa – a private beach retreat where all your needs are met with a smile. 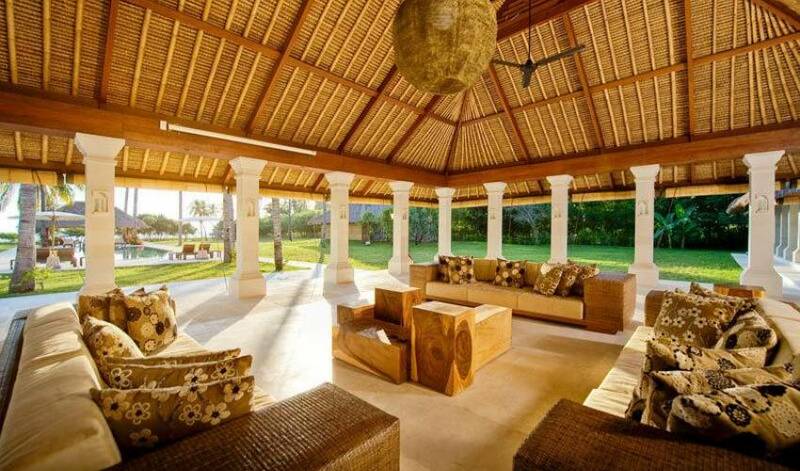 The villa, whose name means ‘Sea Breeze’, is situated on Sira Beach, on the north-western coast of the beautiful island of Lombok. 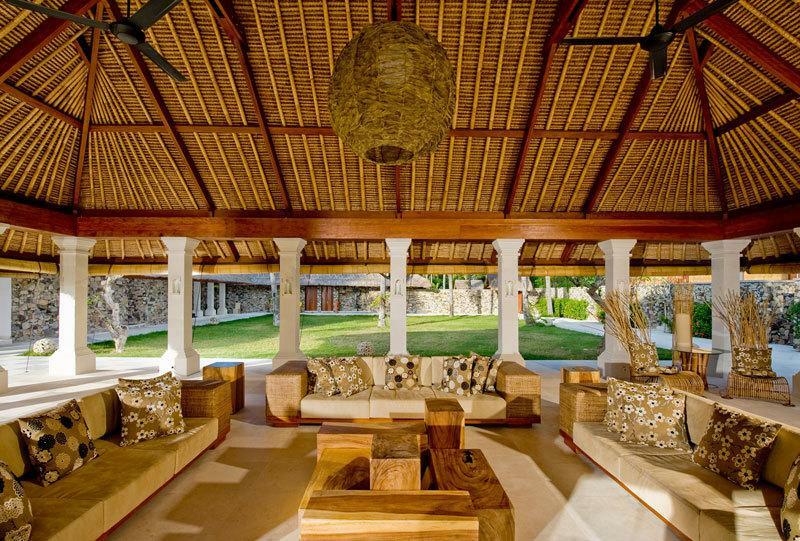 It is an exclusive hideaway villa designed by the well-known British architect, Jane Taylor. 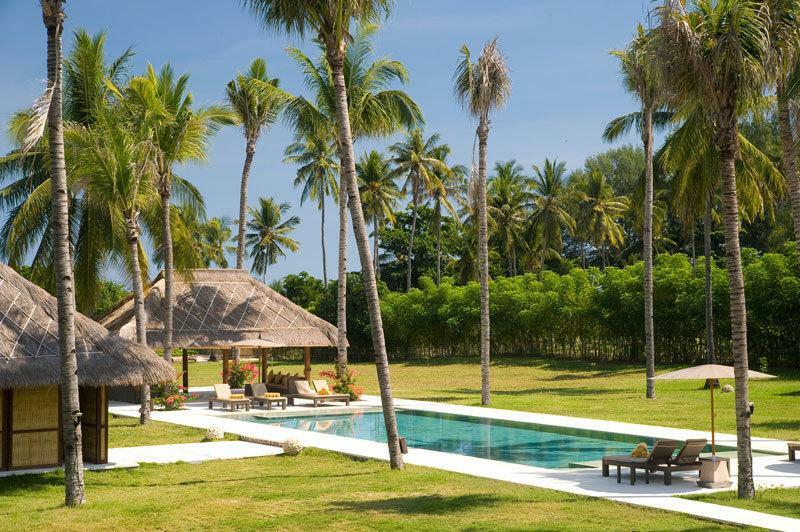 The villa is equally suited to an extended family holiday, a gathering of friends or a special celebration venue (events for up to 100 people can be accommodated). 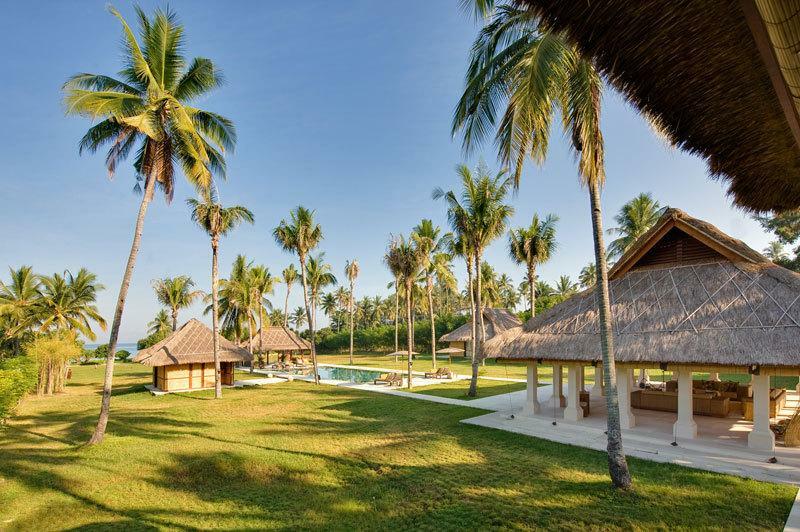 Sira Beach is a ribbon of virgin white sand next to coconut plantations and a quiet village where local life continues in much the same way as it has done for centuries. 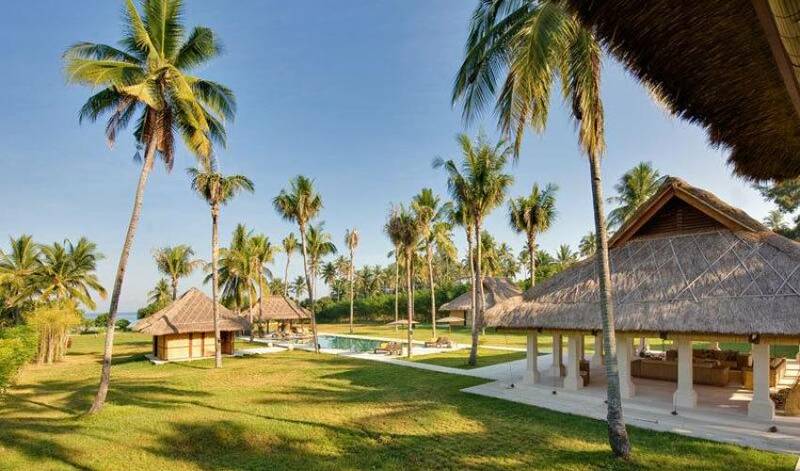 The awesome views from the pristine beach and the gardens of the villa take in Lombok’s towering Mount Rinjani, flanked by rainforest, the tiny port of Bangsal, the three sun-soaked Gili Islands and Bali’s Mount Agung in the distance. A car and driver can be organised for a reasonable daily rate, making it very easy to explore this fascinating island and visit some of the villages that produce the pottery, textiles and basketware that Lombok is famed for. 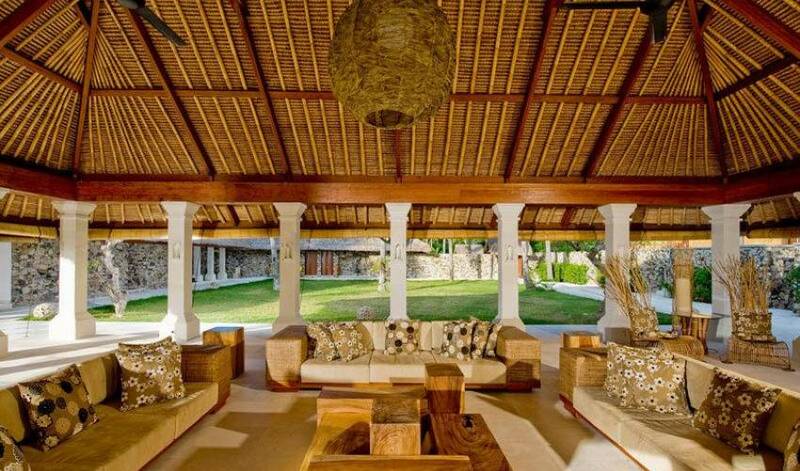 The villa is a place to relax and escape the pressures of normal daily life and work. A chance to play with the children in a stunning and safe environment and take long, unhurried walks up and down the beach. 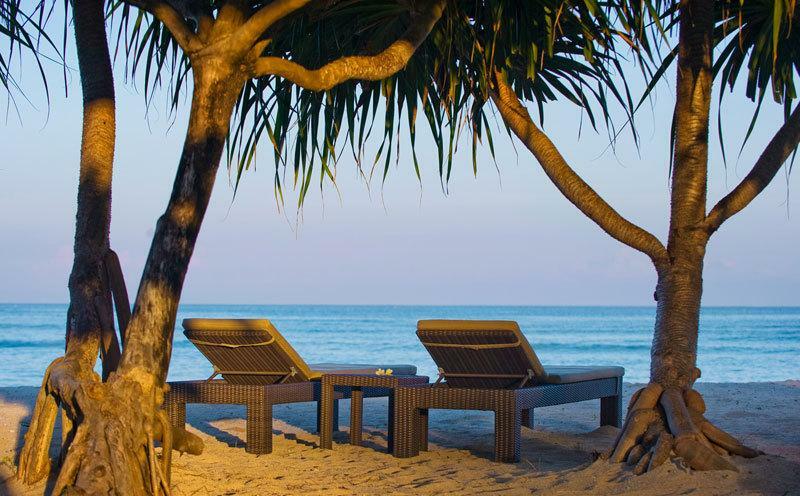 It is a fantastic location to completely unwind and enjoy five-star service from the excellent staff team. 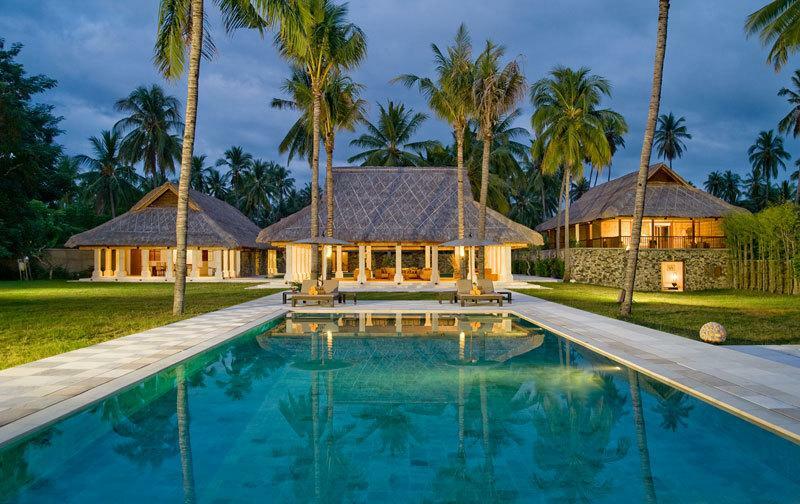 For the adventurous, there’s the opportunity to climb Mount Rinjani or go scuba diving or snorkelling over the tropical coral reefs surrounding the laid-back Gili Islands; and for golfers, a chance to play a round of golf or two at the stunning 18-hole Kosaido course next door to the villa. 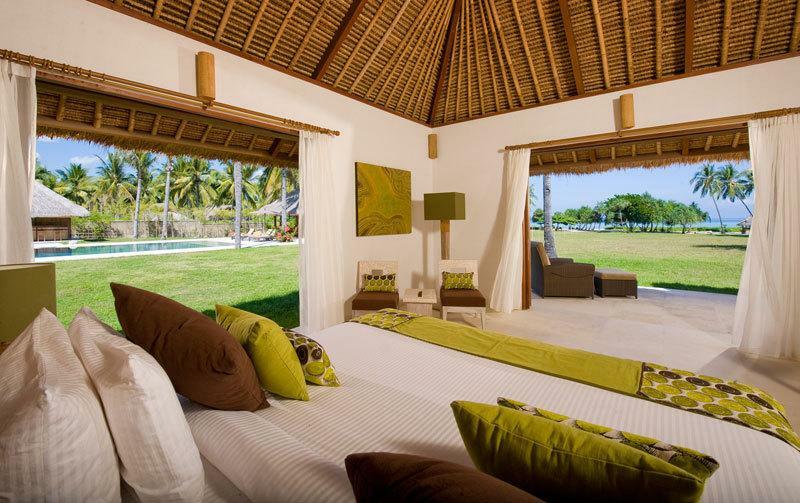 All six bedrooms at this villa have been designed with an individual theme and have either a beautiful sea or garden view. Each room is air-conditioned with ceiling fans and a safe. Mosquito nets are also available. 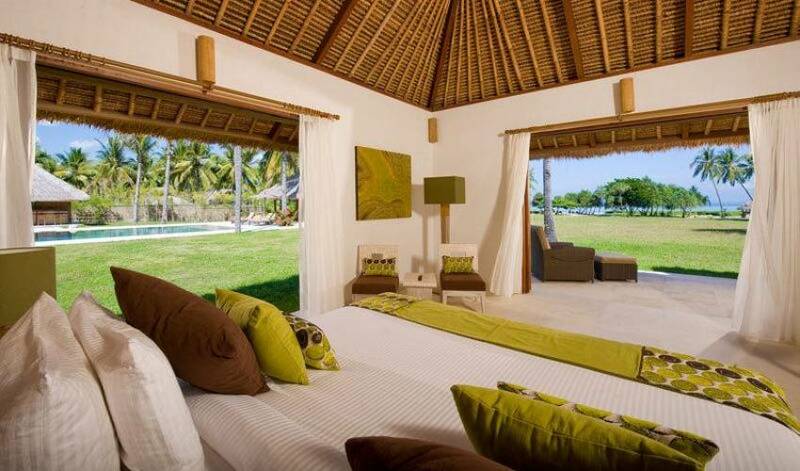 The villa's master suite takes up the entire upper floor of the only two-storey pavilion on the estate and is located on the southern side of the courtyard offering wonderful views of the sea. The suite incorporates a massive bedroom, furnished with a super-king-size four-poster bed and adjoined by a broad balcony. It also boasts a spacious dressing room, an office, a private massage room/yoga studio, and a large ensuite bathroom fitted with twin washbasins, a rain shower and a romantic freestanding bathtub canopied in gold organza. 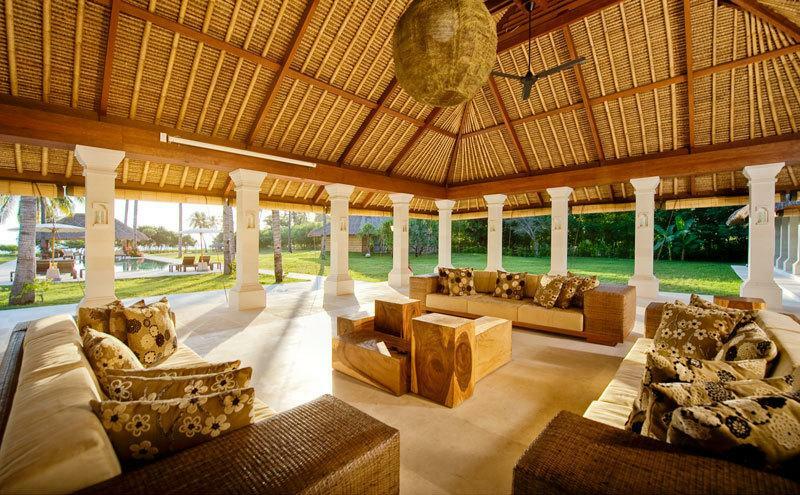 The villa is situated alongside the picture-perfect white sands of Sira Beach at the north-western tip of Lombok. 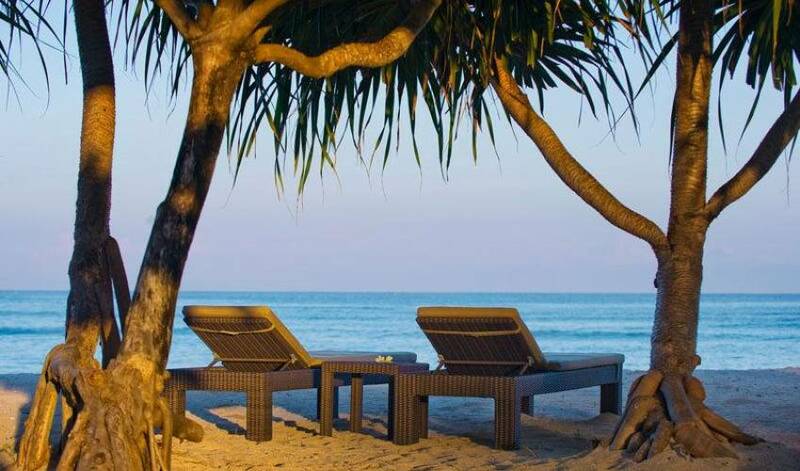 The sea shelves gradually here so guests can swim in the crystal clear shallows, while the beach itself is ideal for long walks, jogging or fishing. 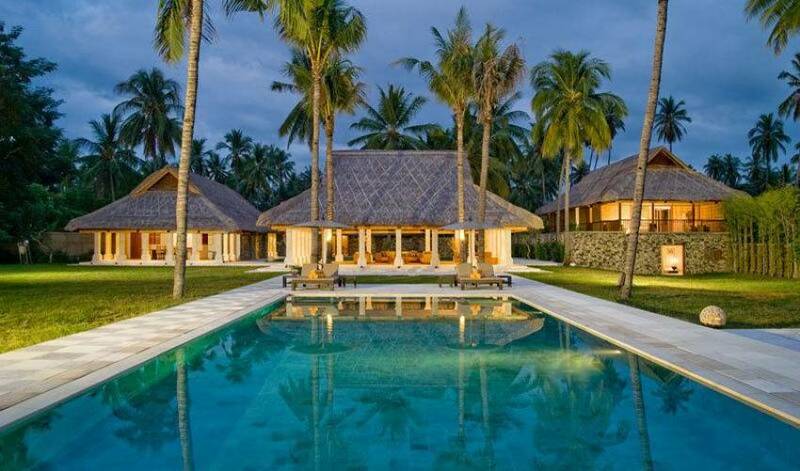 Famous for snorkelling and diving, the three Gili Islands are just s a short boat ride away – Gili Air being the nearest to the villa.